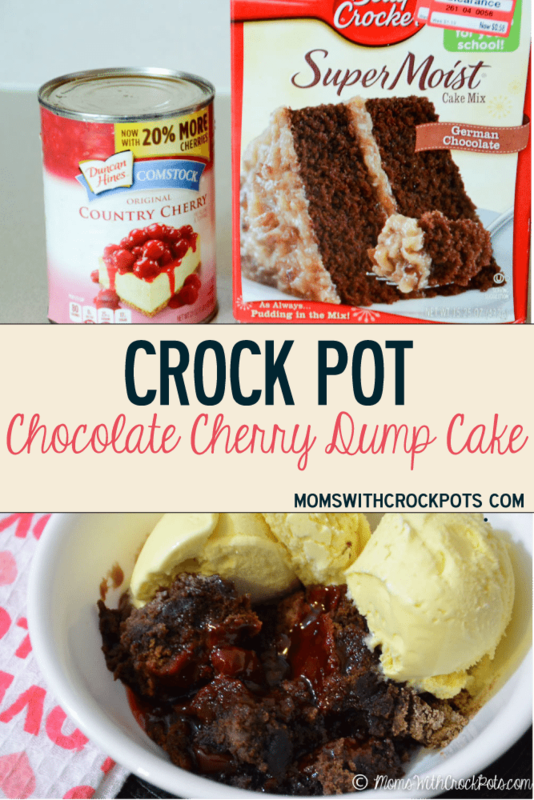 Let me just start by saying this Crock Pot Chocolate Cherry Dump Cake is a prime example that you just can’t make some things look good in a crock pot, but it sure does taste good! 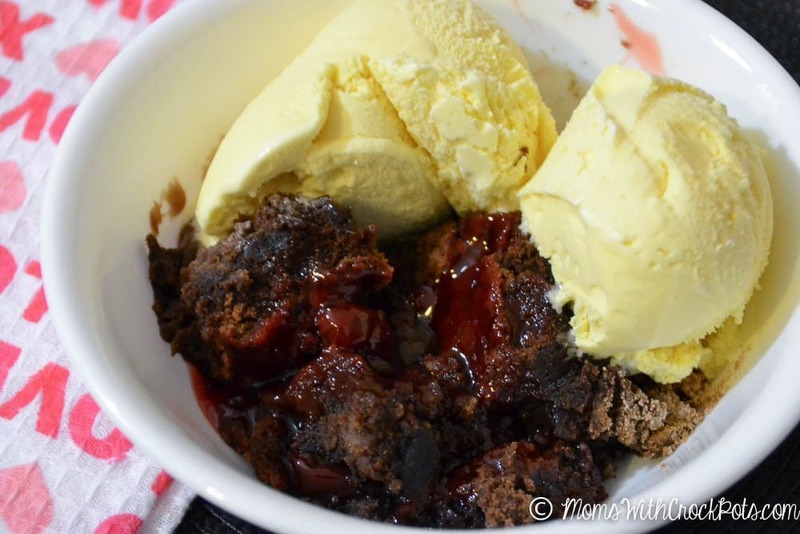 This dump cake is easy to throw in the crock pot in the afternoon to have a nice hot dessert for after supper. It only takes a few ingredients and the entire family loved it. Serve it with a scoop of vanilla ice cream and you have a winner. You can even use this Homemade Chocolate Cake Mix if you don’t want to use store bought. In a 4 qt crockpot dump cherry pie filling. Dump 1 can of cherry pie filling and spread out evenly. Use a dairy free cake mix and coconut oil instead of butter. Thanks for the recipe! It was a hit. I was wondering if you could double the recipe. 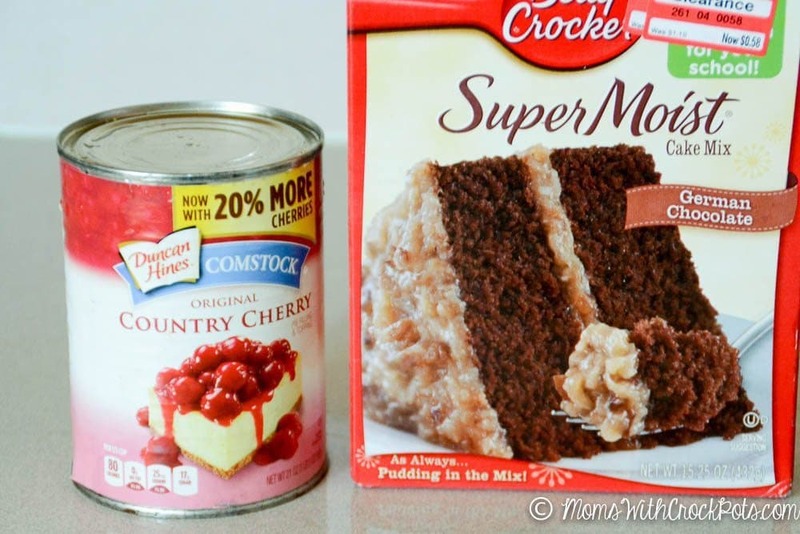 If so, would you still layer the same way (all the cherries on the bottom, then all the cake mix, then all the oil). Also, would the cooking time change? Thanks!! !